Want to be the most shining bride on your big day? Want your body look perfect with your dream wedding gown? Want to be a unique bride unlike anyone else? Please come and learn about the following tips with will provide you more inspiration on choosing the wedding dress. 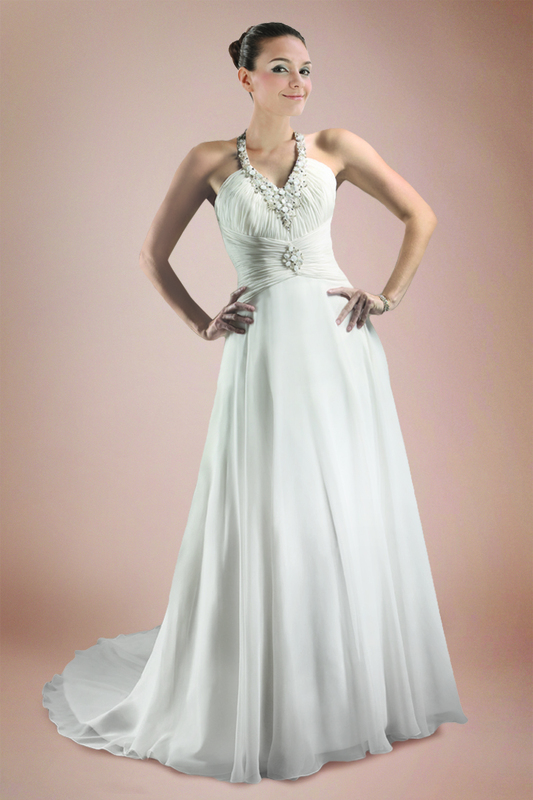 Wedding dress is the indispensable part in your wedding budget. Everybody knows that. But don’t forget the various wedding accessories matching your dress which are particularly important, such as lingerie, necklace, bracelet, the cost is also very striking. Selection of these ornaments must be started and accumulated from the usual time. Only in this way can you dress up as a unique bride, not the same as anybody else! Good accessories do not mean the expensive one, while fit is the most important, just like the person you love. 2. Is long hair necessary for a bride? Perhaps many of us growing up watching a fairy tale, or a movie or something, think that the bride should have long hair. The truth is not everyone is suitable for long hair style. Short hair brides has another side of beauty. Try several short hair styles so that you can easily find one to suit your whole style. 3. The more, the better? Each girl has a greedy heart, especially when it comes to her wedding dress selection. Put every dress on, and then pick the most beautiful one. In fact, this is a big mistake. Because each time you try on a dress, you will have different feelings. And so many fresh, new feelings get together at the same time, you’ll get confused cause you think all the dresses you have tried are marvelous. Another situation, of course, would probably happen. That is the more you try, the worse you feel. The best way is to find a certain style, and then try 2 or 3 dress, which would be good enough. 4. Is maternity bridal dress so hard to choose? Pregnant brides always have some concerns about their belly. In fact, there is nothing to worry. One thing to remember is that the pregnant brides should wear tight-fitting dresses to cover up your babies, because it is not only harmful to your babies but also not good for yourself. Beautiful bride with a baby shows a special kind of charm as long as they wearing the personalized bridal gown tailored to their accurate waist size. Find a professional dress maker who can estimate your body shape one week before wedding day and help you solve this problem in advance. 5. Women with fleshy arms? Every woman have their own weakness on body shape, such as the person whose arm is too fleshy. They are meant to stay away from sleeveless dress, in fact, the right style dress with sleeves can bring out a totally new look. In fact, any weakness on body shape could be improved by a suitable dress. If you really feel your arm fleshy, then spend some time in searching the right style. As to the person having big shoulder skeleton, sleeveless wedding dress can make your long arms exposed to a stunning image. If your shoulders are more rounded, you can tend to Japanese or French wedding dress style.